Ladies and gentlemen, boys and girls: I have a special treat for you. 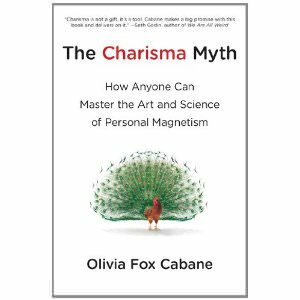 My friend and colleague Olivia Fox Cabane, speaker and trainer to corporations (eg Google), universities (eg MIT and Harvard) and governments worldwide, is coming out on March 28 with her long-awaited new book, The Charisma Myth: How Anyone Can Master the Art and Science of Personal Magnetism. It’s a manual on how to be even more charismatic (since all of you are already such charming devils, obviously). Why do you want to attend this call live? Because I’ve seen Olivia speak many times, and I can attest firsthand to the power of her teachings. Charisma can be learned, and quickly — and there aren’t a lot of people better at teaching it than Olivia. Now that she’s not jetting off to train some South American head of state and we have her all to ourselves, you definitely want to be on the call live so you can ask her your burning questions about how to present yourself even more effectively. Ideally, you would read the book beforehand so you can ask the deep questions that usually only the El Presidentes paying her megabucks get to ask. 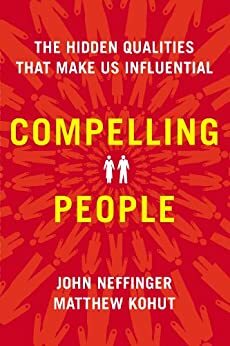 Is charisma innate, learned or a little bit of both? There’s no charge for any of this, so feel free to spread the word and tell your friends about it — they’ll thank you for it.